The cloud, which is an illustrative term for storing your memories and other media on a remote Internet-based networked computer storage (server), is a relatively new phenomenon. Since it is relatively profitable and lucrative to most providers, it is being excessively marketed and promoted. In our humble view, there are both benefits and drawbacks to storing your memories and content on a remote location, and your goal as a customer is to remain educated and understand both. On one hand, it is a fairly inexpensive way to store your memories and legacy and is virtually available all over the world. It also works as a hedge against physical loss of files, DVDs and even your original VHS and film elements at your residence. On the other hand, in today’s world, you would need to assume that every system out there will be eventually hacked (a deliberate act of unauthorized access), which could result in stealing your personal information for identity fraud, as well as a possible risk of deletion. Also, there are limitation and costs to online storage space, and generally you will be able to only store lower-resolution files. Another disadvantage is that it costs you money every single month. While we recommend being informed and limiting the Cloud use to non-personal items, such as music, we have no doubt that it is here to stay and will only grow bigger, especially since the Cloud promoters and marketers have much to gain from an increased users base. 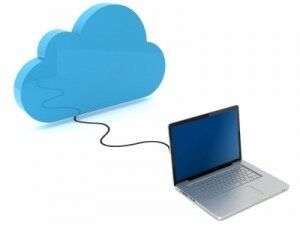 As a convenience service to our customers, we offer Cloud-based services, including encoding, uploading and management. For more information about our Cloud services, please contact us here.